allweatherawnings.com is proud to offer these fine products from Durasol. Elegant, Functional Solutions to Your Solar Protection Needs. Durasol retractable awnings, motorized awning, custom-made exterior shading systems, fabric and canvas awnings are easy to operate, maintenance free and self-storing when not in use. We use only the finest materials available from around the world to produce truly superior additions to your home, that are a shade more beautiful. The Durasol retractable SunShelter Select awning offers you the control you need to combine the comfort of an indoor lifestyle with the beauty of outdoor living. The SunShelter Select offers you as little or as much sun as you desire, allowing you to stop the unit at any position. And that' s great news since EPA findings suggest that excessive UV exposure can lead to premature aging of the skin and skin cancer. The SunShelter Select can be mounted on virtually any flat surface or under a soffit. When limited mounting height is available, the awning can be roof-mounted using Durasol's specially designed brackets. Created to be a natural extension to outdoor living, the SunShelter Select is maintenance free and self-storing. To retract, simply touch the button and walk away - your awning will stop automatically. Many product innovations we offer are based on meeting and exceeding customer needs. One such innovation is our Drop Valance option. Our Drop Valance is available on SunShelter Select up to 24’ wide projection not to exceed 10 feet. 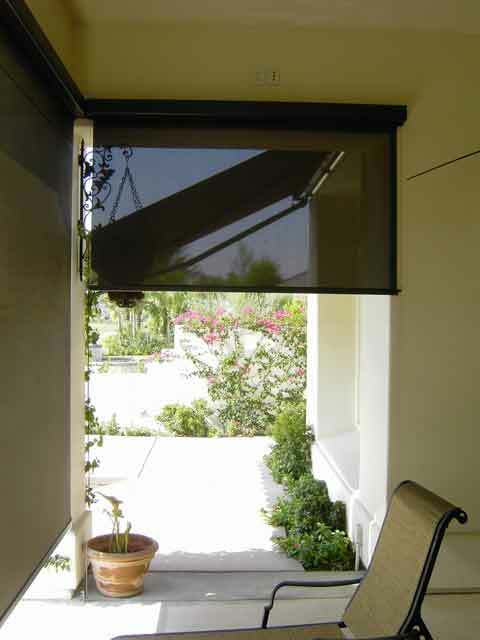 This easy to operate unit allows you to extend vertical shade from the front bar up to 42”. Ideal for low sun exposure. Our Drop Valance is available in solid acrylic fabrics or in open weave mesh, which provides cool shade without compromising your view. 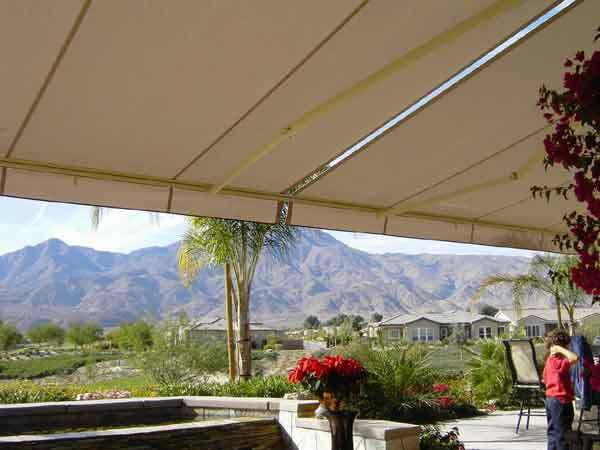 With a Durasol Drop Valance on your SunShelter Select you increase your comfort and outdoor living. The Durasol SunGuard Select retractable window awning is an elegant and practical way to protect your home from the sun's harmful rays. The SunGuard Select guarantees the confidence and prestige of a superior crafted product, and adds lasting value and beauty to your home. 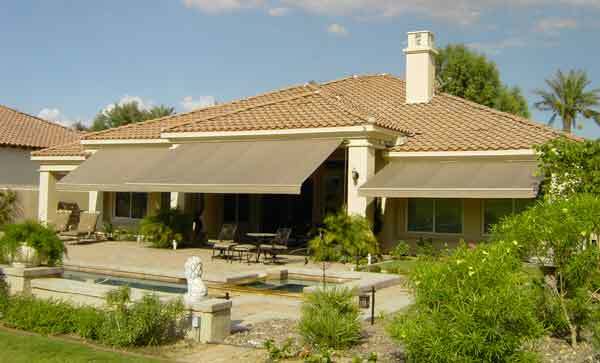 Our SunGuard Select awnings offer you the control you need to maximize your indoor comfort and reduce cooling costs. They will provide you with as little or as much sun as you desire, allowing you to stop the unit at any position. 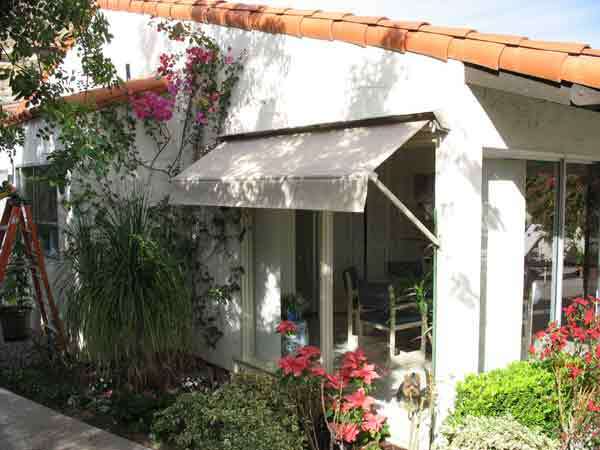 Available in a wide variety of long lasting acrylic fabrics, Durasol SunGuard Select awnings beautify your home. They attractively shade windows, keeping interiors up to 15 degrees cooler while helping conserve energy. They shelter your home from harmful UV rays and prevent indoor furnishings from fading. 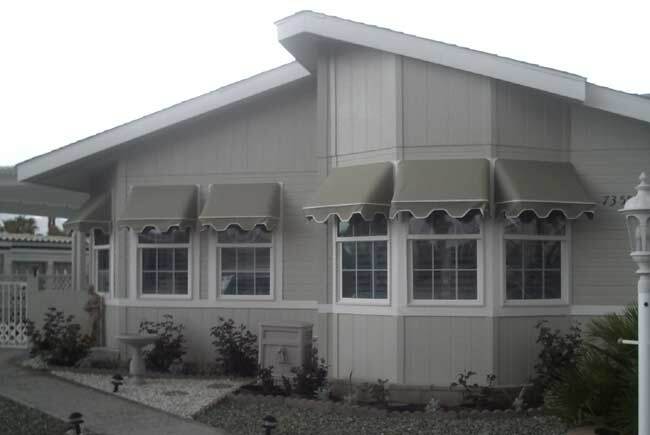 At Durasol, we use only the finest components to produce truly superior awnings. By effectively stopping most of the sun’s energy BEFORE it enters your home, your Durasol Exterior Solar Screen will reduce indoor temperatures up to 25 degrees while lowering cooling costs by up to 40%. When extended during the winter months, your DuraShade Select-E/Elite-E will provide an insulating layer of protection from the elements, allowing year round function. Your Durasol Exterior Solar Screen is a sound investment and will pay for itself over time in energy savings. Durasol exterior solar shading systems can be designed to operate automatically with sun and wind sensors to provide you with optimum solar protection, while extending the life of your furniture, carpet and interior of your home. 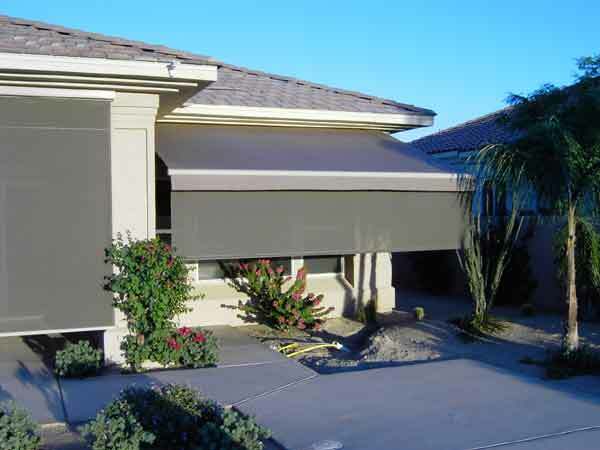 Your shading system, which may consist of a series of units, can be controlled with a single touch-of-a-button or automatically by the sun and wind, whether you’re home or away – adding an element of security with the appearance that you are home. The DuraShade Select-E/Elite-E hardware systems are available in four architecturally pleasing colors. Choices of ivory, white, sand and brown will ensure that your investment will blend superbly with your home. Our weather-resistant, powder-coated finishes have proven to be the most durable available. To add a level of style, we also offer custom painted hardware to exactly match your unique needs. All DuraShade Select-E/Elite-E hardware systems incorporate stainless steel fasteners and cables to provide years of long lasting, maintenance-free performance. Durasol offers specially designed, interior-mounted shading systems that can completely block outdoor light or simply darken a room. Whether you desire total privacy for your bedroom of bath, or if you are looking to maximize your viewing enjoyment in your TV room, we can design a system to meet your unique needs. Many of Durasol’s Solar Screens can be motorized, allowing you to operate the system with the touch-of-a-button. If optioned, they may be controlled automatically and could even be incorporated into your lighting system during construction. With a motorized Solar Shading System you will have complete control over the sun and the ability to extend or retract the unit, stopping it at any desired position. When unfiltered sun is desired, your Durasol Solar Screen can be completely retracted into its self-storing housing, providing protection from severe weather. Complete specifications are available to architects and builders who want to build-in these units during construction. 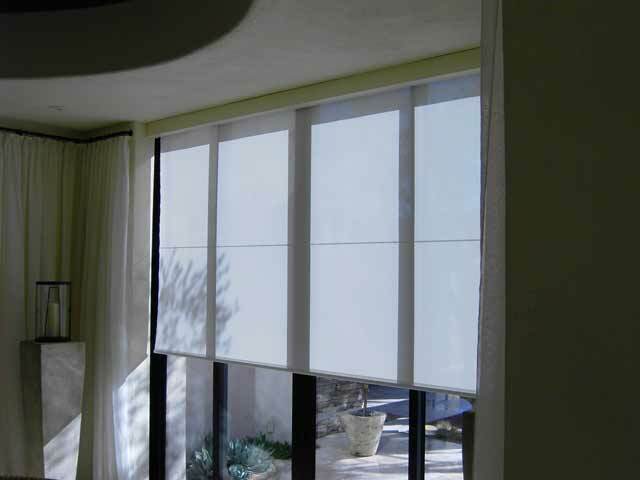 The Durasol Shading System will filter out most of the sun’s harmful effects while maintaining your view. Our specially designed fabrics allow you to see outside more clearly and permit filtered light to enter the room – without annoying glare. You can select a fabric that will enhance a room’s lighting décor while adding a level of privacy from the outdoors during daylight hours. Your Durasol Shading System can be operated by hand, with the touch-of-a-button, or can be controlled automatically with sun and wind sensors. 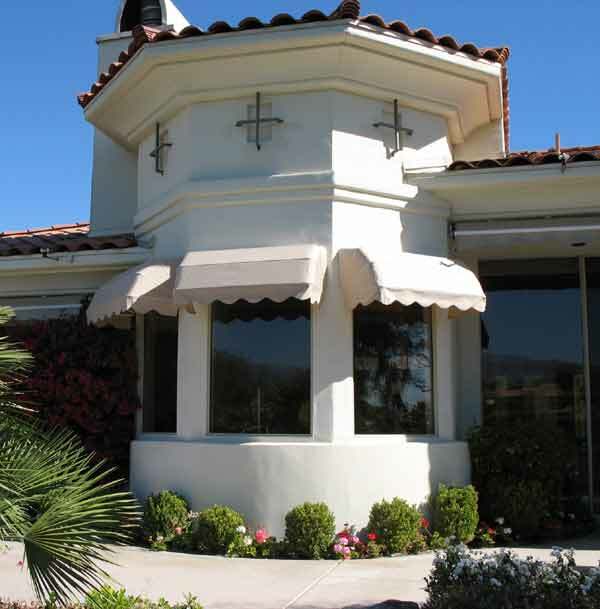 The Durasol SunCatcher Series presents a European-style window awning system that will add distinctive elegance and lasting value to your home, while sheltering you from harmful UV rays and keeping interiors up to 15º cooler. Durasol’s four SunCatcher styles offer versatility to suit a variety of unique needs and applications. Choose from a wide variety of long-lasting acrylic fabrics to blend with the look of your home. The SunCatcher is designed with European elegance in mind. They are ideal for casement windows. 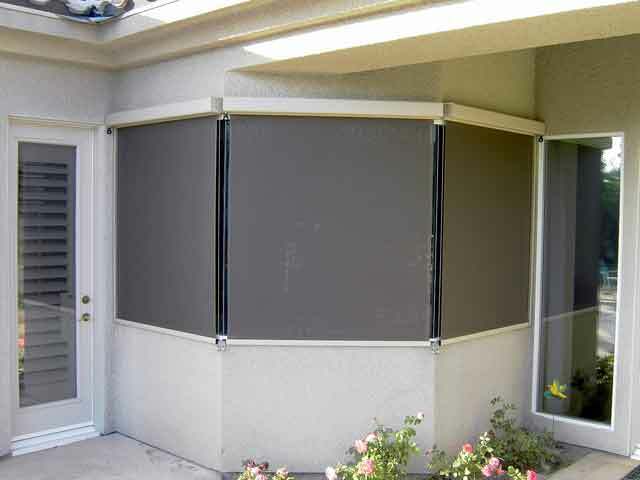 The SunCatcher II offers versatility as it enhances any window or entryway. The SunCatcher Dome compliments doorways and windows. The SunCatcher Dome II is an ideal choice for arch style windows.